You don't have to be an attorney to embark on a career in the legal industry. Corporations, law firms, and governments need non-lawyers for a wide variety of administrative, research, compliance and other law-related requirements. Without the time and expense of a pursuing a full law degree, you can gain the skills needed to offer specialized legal services for these employers. To build your credentials for legal career opportunities, consider these excellent courses the University of Georgia offers in partnership with The Center for Legal Studies. 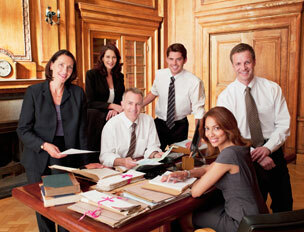 Many organizations rely on paralegals to assist attorneys. This course trains you to interview witnesses, investigate complex fact patterns, research the law, prepare legal documents, and assist in preparing cases. This course equips you with the knowledge to provide legal services on immigration matters, either working for an attorney or advising foreign-born U.S. residents directly as an immigration representative. This program prepares you for the State Court Interpretation Certification Test so you can assist Spanish-speaking people communicate during court proceedings. This practice-focused program trains you in high-demand areas, such as how to interview witnesses, investigate complex fact patterns, research the law, prepare legal documents, and assist in preparing cases for courtroom litigation. Learn how to use powerful legal research tools. You'll formulate WESTLAW search queries and see how legal research methods save time in legal research and legal writing. With the advanced paralegal training this course provides, you'll stand out in competing for the best paralegal employment opportunities. Pick from 15 topics, such as Bankruptcy Law, Family Law, Victim Advocacy, Immigration Law, and Intellectual Property. In this course, you'll learn how to select the best method to achieve the most positive result for both parties. You'll also delve into negotiation skills and ethical considerations. In this exciting course, you'll learn how to investigate arson, product liability cases, personal traffic accidents, employment accidents, malpractice and negligence, skip-tracing, and more. In this course, you'll learn skills necessary to work with law firms, health care providers, insurance companies, and governmental agencies on medically related issues. This course covers a wide range of topics vital in a law office, such as legal terminology, jurisdiction, ethics, various written documents and filings, billing and accounting, time management, and many more. Learn how to investigate arson, product liability cases, personal traffic accidents, employment accidents, malpractice and negligence, skip-tracing, and more. Learn the legal process for protecting an invention and its creator from infringement and unfair competition. You'll examine what items or ideas can be patented, and how to research, apply for, and protect patents and copyrights. In this course, you'll learn about computer operating systems, peripheral devices, and software for a host of legal applications, such as tracking and billing, case management, docket control, litigation support, electronic discovery, and trial presentation graphics. This course trains participants for work in domestic violence shelters, crisis centers and hotlines, and with state and county governments. Highlights include terminology, process, legislation, counseling skills and a range of other essential topics. Learn about the laws governing relationships between employers and employees, including the National Labor Relations Act, the Railway Labor Act, and statutes around public employment, as well as wage and hours topics, anti-discrimination, and working conditions regulations. Learn the skills needed to advise law firms, insurance companies, and governmental agencies on legal issues related to the medical field such as malpractice, torts, liability, personal injury, workers’ compensation and others. Course participants will examine types of crime, analyze the trial of a criminal case, and explore the various types of criminal defenses, sentencing, and appeals procedures.